The word “Zen” is appearing everywhere from business books, management strategies, fashion to coloring books. For sure, Zen is becoming popular internationally but what is it really? Kyoto has been the spiritual center of Zen Buddhism in Japan. You can experience Zen in temples’ intricate architectures, beautiful gardens, life-styles of monks and practitioners, as well as in some practices such as meditation and sutra writing. 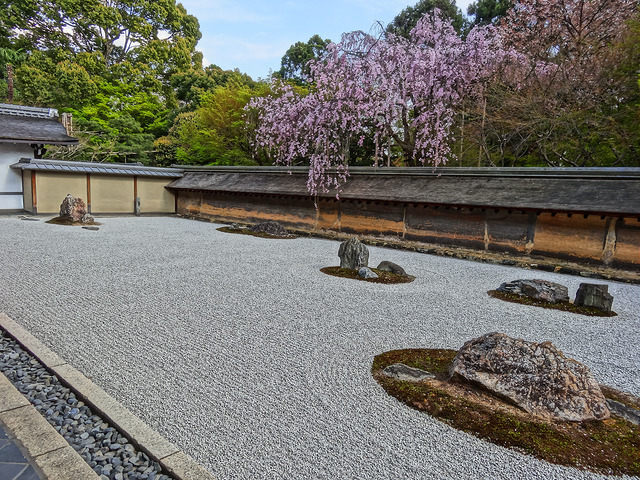 Why don’t you step into the calm world of Zen by visiting these 7 Zen temples and gardens in Kyoto? Nanzen-ji Temple is one of the most important Zen temples in Japan, being the head temple of Rinzai sect of Japanese Zen Buddhism. Nanzen-ji originated in 1291, though buildings had to go through several renovations due to wars and fires. The temple grounds are free to enter, though some buildings may charge a separate fee. The pond garden here is very popular, especially during the autumn season. A large brick aqueduct that runs through the temple complex is a must see. It was built to carry water from Biwa Lake to Kyoto, and it continues to function even today. Tourists can experience sitting meditation in this beautiful temple. Meditation session is open to the public, and is usually held on every 2nd and 4th Sundays from 6am to 7am.(Apr.-Jul.Sep.-Oct. ),The class starts at 6:30 am from November to March. 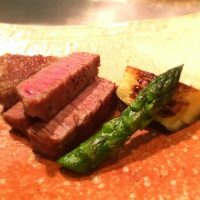 A reservation is required in advance.You need someone who speaks Japanese. 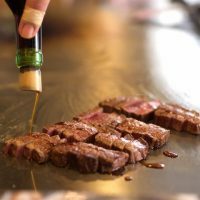 Location:10 minutes walk from Tozai Line Keage subway station,From JR Kyoto station,take a city bus ♯5,and get off at Nanzen-ji Eikando-michi bus stop and walk for 8 minutes. Sanmon gate:Same amount as Hojo. Tofuku-ji Temple is a historic temple famous for maples, built in 1255. The sanmon gate, literally meaning three gates, is the oldest Zen temple gate in Japan. The gate represents three types of liberation through which to achieve Buddhism paradise, namely, emptiness, formlessness, and desireless-ness. The garden that surrounds the four directions of the main building is registered as a National Site of Scenic Beauty. It will be a great entry for the Japanese virtue of wabi-sabi. Every Sundays, Zen meditation session is held for free that is open to anyone interested. Opening hours:Apr.-Oct. 9:00〜16:30,Nov.-early Dec. 8:30〜16:30,early December-March 9:00〜16:00　Admission ends 30 minutes before closing time. Tenryu-ji Temple, a World Heritage Site, is the most important Zen temple in Arashiyama. The landscape of Tenryu-ji is extremely beautiful and a must visit especially during the autumn season. Another must see item here is a giant cloud dragon drawing in Hatto Hall. This can be viewed only on weekends and during the special openings in the spring and the fall seasons. It starts at 9 am and it is for one hour.There is no charge for individual participants and no appointment is required. 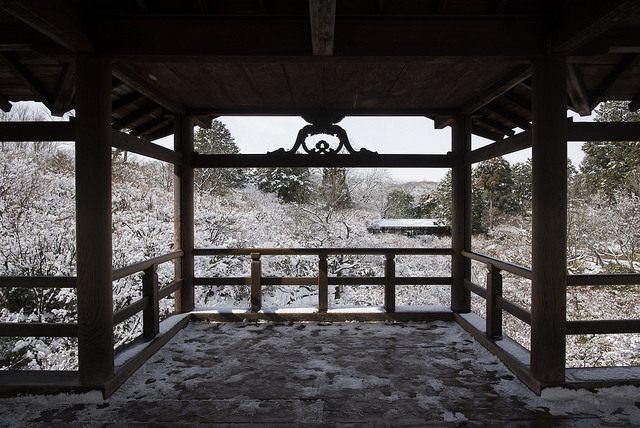 ※Tenryuji’s buildings are occasionally closed without notice for special ceremonies and other activities. Next let’s go to Zen temple known as the rock garden in Kyoto! Ryoan-ji Temple is another great temple known as the rock garden. It is popular for its dry garden, which is considered to be one of the greatest Zen rock gardens in Japan. There are 15 rocks in the garden bed of small white pebbles. But the garden is designed in such a way that you cannot see all 15 rocks from any angle. Perhaps you can check to see if that is true. 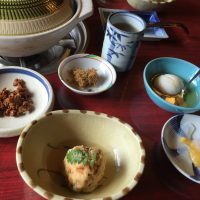 The temple complex has a park inside along with a restaurant where you can enjoy the famous yu-dofu (tofu hot pot). You are sure to feel healthy after a nice warm meal and a stroll here. 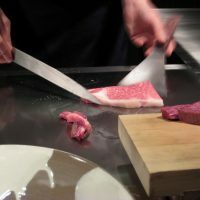 Location:7 minutes walk from Keifuku Kitano Line Ryoanji station.From JR Kyoto station,take the city bus ♯ 50 and get off at Ritsumeikan daigaku-mae bus stop and walk for 7 minutes. Kennin-ji Temple is the oldest Zen temple in Kyoto. 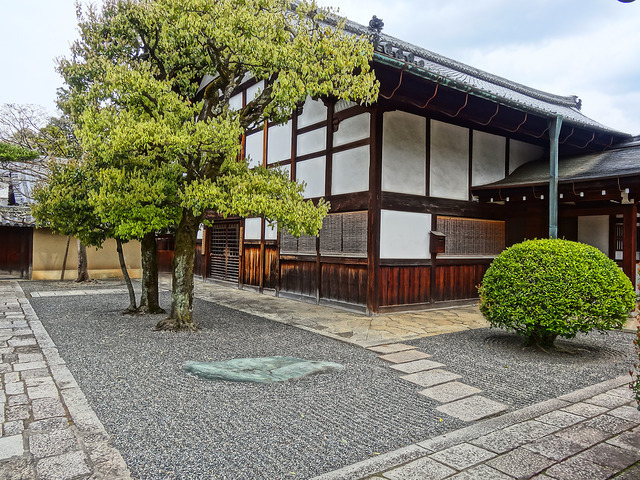 Why don’t you trace the roots of Zen in Kyoto by visiting this temple and participating in Zen meditation class. It is held every second Sundays for free. You will get to experience the meditation for 20 minutes for twice, followed by chanting of the sutra. The class is from 8:00am and will finish before 10:00am. There are also sutra copying class, which is offered at ¥1,000 taking around 45minutes. The class is offered between 10am to 15:30pm. Sutra copying is not difficult even for those who are not used to the Japanese calligraphy since you can just trace letters over printed calligraphy. 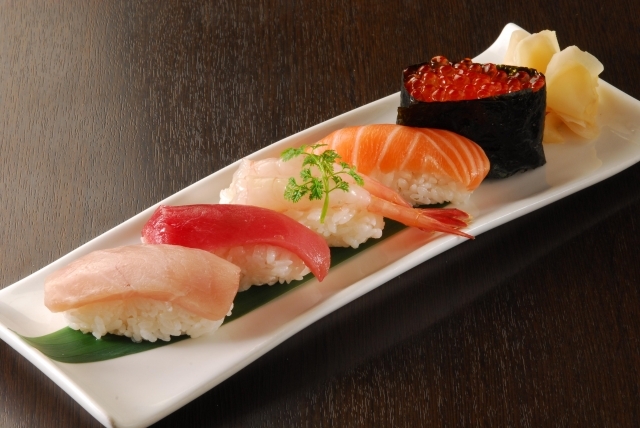 It is a very calming practice that is enjoyed by young Japanese today. 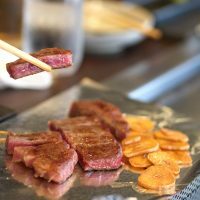 Location:7 minutes walk from Keihan Gionshijo station,10 minutes walk from Hankyu Kawaramachi station.From JR Kyoto station,take the city bus ♯ 206 or 100 and get off at Higashiyama-yasui bus stop and walk for 5 minutes. 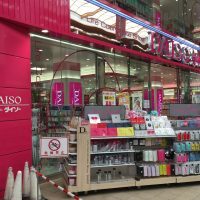 Opening hours:November-February:10:00〜16:30,March-October 10:00〜17:00 Admission ends 30 minutes before closing time. Kodai-ji is a Zen temple located in the tourist area of Higashiyama, near Kiyomizu temple and Yasaka shrine. Kodai-ji temple was established in 1606. The temple complex hosts beautiful gardens, designed by the famous gardener: one rock garden and another colorful garden with a mirror pond. When you walk up the hill, there is a tea house that was designed by the founder of the tea ceremony, then a small bamboo forest. There are so much to see here. Strolling the temple, you can experience Zen world of calm and peace, leaning your heart to yourself and the nature that surrounds. Be warned that during the peak of autumn season, it can get crowded. Daisen-in is a sub-temple of Daitoku-ji temple. It has one of the most famous rock gardens in Japan which attracts tourists from all over the world. 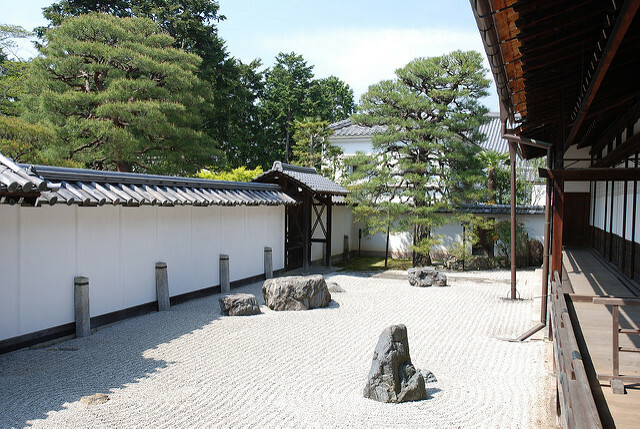 On Saturday afternoons, you can experience Zen sitting meditation facing the rock garden for 1,000yen. The most popular thing in Daisen-in could be its head monk. He is quite a character, and has been featured in various media. He can communicate very well in English and perhaps that is one additional reason this temple attracts many foreign tourists. 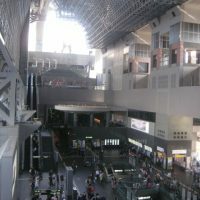 Location:Take Kyoto City Bus #101 or 205 or 206 and get off at Daitokuji-mae stop and walk for 5 minutes. 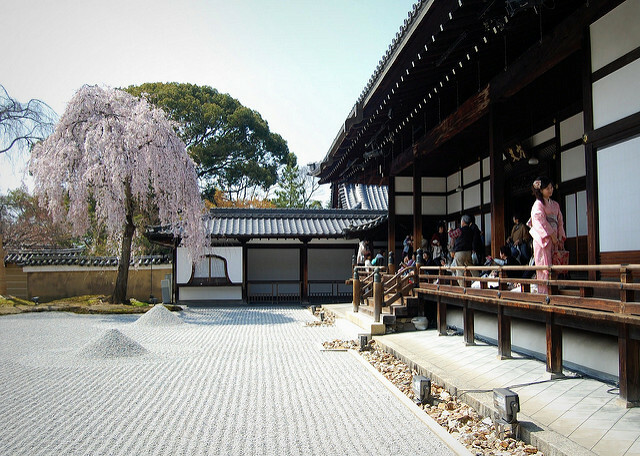 Nanzen-ji Temple・・・Nanzen-ji Temple is one of the most important Zen temples in Japan. Tofuku-ji Temple・・・Tofuku-ji Temple is a historic temple famous for maples, built in 1255. 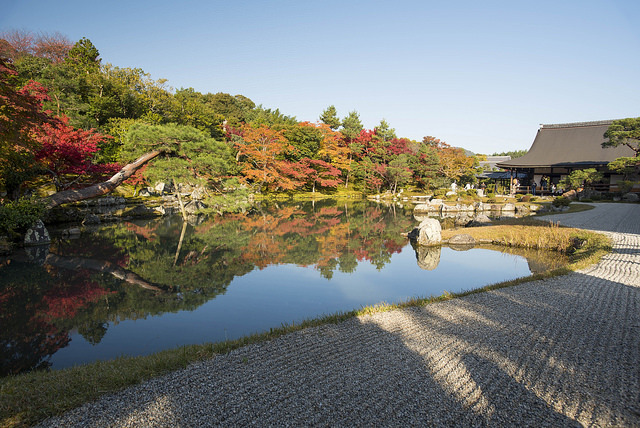 Tenryu-ji Temple・・・The landscape of Tenryu-ji is extremely beautiful and a must visit especially during the autumn season. Ryoan-ji Temple・・・It is popular for its dry garden, which is considered to be one of the greatest Zen rock gardens in Japan. 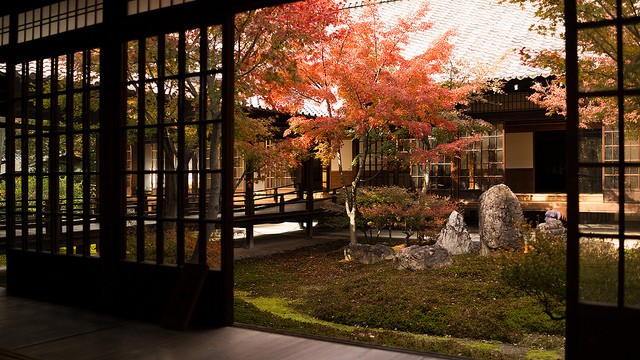 Kennin-ji Temple・・・Kennin-ji Temple is the oldest Zen temple in Kyoto. Kodai-ji Temple・・・Kodai-ji is a Zen temple located in the tourist area of Higashiyama, near Kiyomizu temple and Yasaka shrine. Daisen-in・・・Daisen-in has one of the most famous rock gardens in Japan which attracts tourists from all over the world. 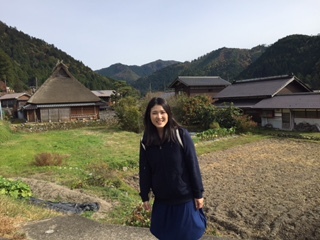 I hope you’ll enjoy Zen temples and gardens in Kyoto! Local tells Top 10 Best Museums in Kyoto you shouldn’t miss! 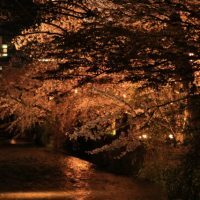 Local tells Top 10 best places to see cherry blossoms in Kyoto,2018 Local Guide:Arashiyama Monkey Park in Kyoto!The best place to see monkeys Local Guide:5 Things to Do in Kyoto in Spring! 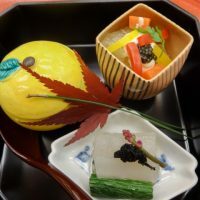 Enjoy the beautiful season in Japan Local tells 5 Things to Do in Kyoto in Autumn!Must see attractions! 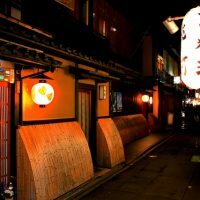 Local tells 5 Cool Things to Do in Kyoto! Enjoy unique experiences! Local tells Top 5 best Cat Cafe in Kyoto!Meet some of the cutest Kitties! Local tells Top 7 Moss Temples and Moss Gardens in Kyoto! 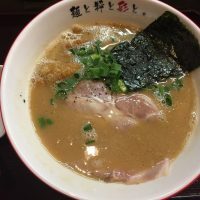 Ohara in Kyoto: A Local Guide to the Best Walking Paths!